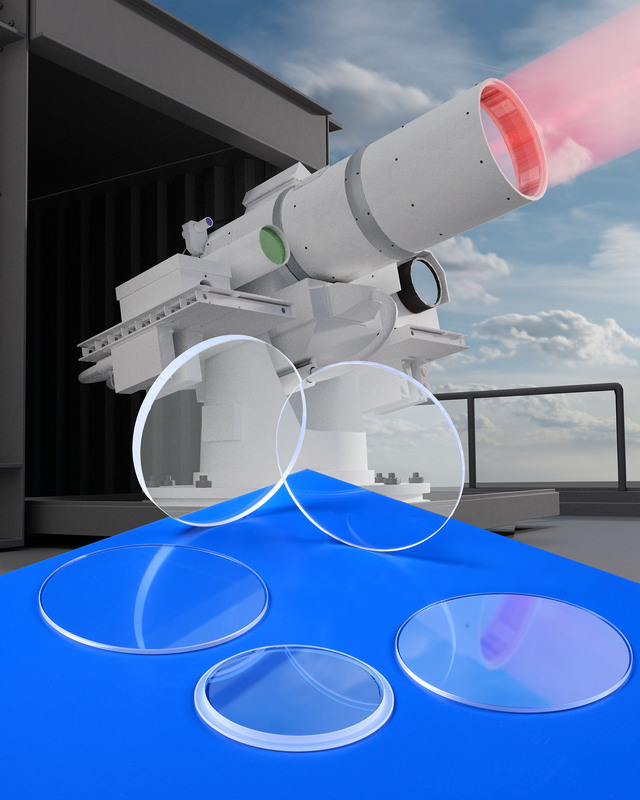 Custom fabricated sapphire windows for directed energy laser weapons, high power microwaves, and related applications requiring extremely flat and robust optics are being introduced by Meller Optics, Inc. of Providence, RI. Meller Sapphire Windows feature Mohs 9 hardness which is second only to diamond and can withstand pressures to 10,000 psi, depending upon thickness, and can be fabricated in a variety of sizes. Featuring flatness to < 1/20th wave, ≤ 3 Å surface roughness, 10-5 scratch-dig finishes, and < 2 arc-sec. parallelism, these windows are ideal for directed energy weapons. Manufactured to customer specifications in sizes from 0.25” to 9.00” O.D. and varying wall thicknesses, Meller Sapphire Windows can include stepped edges and elliptical edge shaping, holes, slots, and wedges for mounting. Resistant to fast moving dirt, sand, salt water, and other particulates, they are well suited for all types of laser beam weapon systems. Meller Sapphire Windows for directed energy laser weapons are priced according to configuration and quantity. Price quotations are available upon request.